Home › Social Media › Where Can I Get a Google Inbox (Gmail) Invite? Where Can I Get a Google Inbox (Gmail) Invite? UPDATE: There is a work around available to allow friends to access Google Inbox from their phone. Here is the information: How to Access Google Inbox without an Invitation. Please let me know if this method still works. It should help you get Inbox without an invitation. I have received an invite and have learned that each person that receives an invite will have three (3) invites to share shortly after they first sign in to Google Inbox. When I get my three (3) invites I will share with those in the comments below only if they promise to share with others from the comments. That way, everyone that has commented will get an invite. On Wednesday, October 22nd, 2014 Google announced “Inbox” by Gmail which is an enhanced Gmail service. Think of email on steroids. Instead of just getting text based emails you can now confirm directions, appointments, connect with friends and pretty much everything else related to socializing through the web. Very much like Gmail back in April of 2004 Inbox is only available to those with an Invitation. This is sure to change in the near future but as of October 2014 you must have an invite to access Inbox. With that in mind, I am opening up my comments to allow anyone seeking or willing to send out an invite to communicate. If you are looking for a Google Inbox invite please comment that you are looking for an invite and your email address. If you have invites to give make sure to let it be known. I would imagine Inbox will be very similar to Gmail in that the first batch of Beta users will get 100 or so invites. At this point I do not have any invites and I have yet to use the Google Inbox. It is important to note that Inbox looks as if it will work much better on Android when compared to iPhone or iOS products. That said, with Google being so good at Gmail it is hard to imagine this service won’t be amazing on all devices. Without further ado, start the communication and get some invites spread to your friends and family. Also, if you have extra invitations please send me one at jwojdylo@gmail.com. Hey! Looking for an invite. Please can somone hook me up? 🙂 Thanks y’all! I would appreciate an invite is someone has one to share. Thank you. If you get an invite please send me one too. Hey! Can I get an invite to anuragguli@gmail.com please. Thanks. Appreciate if someone can send me an invite: skomitov@gmail.com. looking for an invite, kapil20084@gmail.com, thanks! Smurph4@gmail.com I would love an invite! Ill pay it forward to you guys! So curious about Inbox. Patiently waiting for invite from Gmail but also checking around elsewhere like here, hope this turns into a cool resource for those looking. Thanks! I sent a request by email but haven’t heard back yet. I would very much appreciate an invite. My email is mary.fletcher.max@gmail.com. Thank you! Also looking for an invite, thanks in advance! Hey Now I sure would like to try out the new Inbox for Gmail. I am also looking for one. Hello if it is possible can i get an invite? haiku’s are easy, but sometimes they don’t make sense, invite please? would love to learn about inbox, would love an invite too! Looking for an invite, please. Hi, I’m looking for an invite. Desperately seeking “Inbox” fantastic home offered with free room and board. I would love to get an invite. I promise to share my 3 invites when I get one. Thanks! Just got my invite folks. I expect to have three (3) invites shortly. I will invite three of those that promise to use their invites with others that have commented. Looking for an invite… thank you!! Thank you for this post and cause. If I get an invite from someone I will be willing to give mine away to 3 people of your choice as a thank you. I’d love an invite, bfriar@gmail.com. I also have several Google Domains invites to give out if anyone wants one, drop me a line at the email above. Looking for an invite…thank you in advance!! Hi, I hope to get an invite too. I will repay back in advance. Thank you. hey guys any one gotta an invite as yet? been 3 days and still no invite. Would like an inbox invite please. Oops… replied to someone else’s request. I’ll try again. Looking for invite. Toperzak@gmail.com. Thanks in advance. Jesse, the exchange worked out awesome; this was a great idea. Jesse, would like an invite : saldanha.priya@gmail.com. Thank you. Looking for am invite. Thanks! Please invite me! Been using other apps over Gmail, but this seems to combine best of all email apps. Hello, Please send me an invite. Thanks for putting this together Jesse. If anyone has an extra invite I’d be thankful to receive it and share mine when I get some. Anyone got a spare invite? My email is thomasakatav@gmail.com Thanks! Get a Google inbox invite. I will share mine on this thread once invited. could I get an inbox invite? Thanks for this thread Jesse! If anyone has a spare invite, kindly send to cutieissa AT gmail (where else?! hihi!) ^_^ Thanks a lot! Please note that I’m interested in receiving an invitation to use inbox…Thank you! I’d like an Inbox invite and will share invites once I’m invited. Would love an invite, will pass it along as promised, of course! Get a Google Inbox Invite! I wish an invitation and I promise that I will share! Can someone please send me an invite? joshmcc1982@gmail.com thank you! Can anyone send me a invite, please!!!! Would love an an invite and will share once I have them to give out. Thanks! Could someone send me an invite… evilpenguinj@gmail.com. Thanks in advance! would love an invite, thanks in advance! Well, I’d love an invite! Thanks in advance to the kind person that sends me one! Email: samjolley@gmail.com. Would love an invite- will pay it forward! Thanks. Please invite…would love to try this out! I would appreciate an inbox invite. Thanks. Hi I’m also looking for an invite here! Hey! Looking for an invite ! I am so curious to use this app. Please send me an invitation. Thanks in advance. Please give me an invitation. I’m also looking for an invite here! dipu.rajbd@gmail.com Please send an invite ASAP! Will invite the next 3 from my list. If anyone has a spare invite, i’d love to receive it and pass on the invites. Can you please invite me ? Looking for an invite. Will pay it forward! Can someone hook me up please forever grateful. Looking for an invite ! Looking for invite: miguelfmorgado@gmail.com . Thanks ! I would also like to check out inbox as well. Also looking for an invite… Thanks!!! I’ll love to get an invitation and I’ll surly will invite more from the comments. Looking for an invite as well. Hi, Im from Brazil, and here we have less invites than other places, I guess! Hey all. Pay it forward and she’s me an invite please. Cheers! Looking for a Google Inbox invitation…..”Pretty please”. I would love an invite! Thanks in advance! I’ll pass on my invites to those who post a request on this comment if someone passes one on to me? Can you spare an invite? Hi, I need invitation for inbox, thanks in advance. Looking for an invite and I will share mine when I have them! I’d like an invite. I’ll definitely share if I get it! Looking for an invite please…. Will definitely share if I get one! I would like to have a invite! Request for invite and kindly oblige. Looking for an invite. Thanks. I would really appreciate an invite & will pay it forward within here. I am quit excited to get invitation. Looking for an invite, will share back. Would very much appreciate an invite. Thanks! Please send me an invite… Thanks in advance…!! I would love an invite!! And I’ll pass it along! I’ll be happy to invite others who comment. Looking for an invite jblevins@gmail.com. I would really love to get an invite please! I would like to get an invite please! Would really appreciate an invite. Hello. Here is another candidate for an Inbox invite. Sharing is caring, so please share an invite if you can and I will do so as well. Tnx. I forgot to mention my e-mail adress: aljazmaher@gmail.com ;). Looking for an invite. Tnx! looking for an invite. Pls! I wrote on everywhere but i haven’t got it so far. Anyone have an Google Inbox invite they can send my way, would be very appreciated? Can anyone please invite me? I will share of course my three invites here on the comments. Would love an invite please! This is a great idea for doing this! Can anyone please invite me? My email is gdourouk@gmail. I will of course share my three invitations here. I will gladly pay it forward. An invite would be greatly appreciated! Would love to have an invite. Thanks! Can I please have an invite? Hello would like an invite ..
I’d love an invite please!! Fordman460@gmail.com. Thank you!! I can use an invitation, too. I will definitely share my invitations here. Can someone give me an invite please? I would love an invite too. Invite please. Would be much appreciated. I already sent a request to google four days ago, however, I haven’t received any invitation from them. Would like an invite for kartikay.tandon@gmail.com. Please send me an invite. I’ll send it to another three!! keenpost#gmail.com,if anyone can share an invitation and definitely will share with other guys here. Would love an invite. Please send to gmlesak@gmail.com. I will share with the group. I have absolutely no one for invite. Please….. Spare me one as well please? I’ll spread the love as well! Looking for an invite. Will pay it forward. Would love an invite too please. I promise to invite others as soon as I get mine. Hook me up with Inbox please!! please send me one invite!! I have some invites, everyone looking for invite contact me before they end. Send me your gmail address. Please only send valid addresses that you use, otherwise our invites will be wasted. Thank you for sharing your invites! My email address is tasheppard@gmail.com and this is my main email. It is attached to my G+ account. If I get an invite I will be sharing them with people in this community. Thanks for offering to send an invite! My email address is domingorogers@gmail.com and I too promise to share any invites I get with those here! I’m looking for an invitation too. If you have one please share, promise to pay it forward. I already sent e-mail requesting invite but…. Anyway , i ‘m looking For an invite! Please send me invite. I should send to other users from comment if I get one. Also looking for an invite. Will repay x3 cheers! Hey! Can someone please send me an invite on ankit.sanklesha@gmail.com ? I’ll share my 3 invites on this thread. Good post. Send me an invite please. please, will share it for others here as well! If I could get an invitation, I would like to share with one of my coworker who is also willing to get one, and another two persons on this list. I need an invite for work purposes. Could you please help? My eternal gratitude and free hugs to anyone who can help! Promise to share all my 3 invites here. Who wants to invite me ? I really would like to know new google’s service Google Inbox. Could anyone invite me at miloszkozlowski[at]gmail.com? Would love an invite. Please send to shymoshe@gmail.com. I will share with the group. Hay, can one of you share an invite to me..? Invite would be greatly appreciated. Thanks! Can someone please send me an invite. Please send me invitation to Inbox. Thanks! Please send me an invite…. I’ll invite people from the comments afterward too. Thanks. Emails to Google go unanswered. Ugh. Hi, I’m too looking for invitation, thank you. Please spare and invite. Will spread it once I receive. Thanks a ton. Please, someone could send me an invite? I don’t read my emails btw. Hey I would like an invite too! Brilliant idea to drive traffic to your blog. I’m in. Hook me up. I would much appreciate an invite. Thanks! desperately need an invite. Please provide me with one. I would appreciate an invite please. would love an invite – will pay forward with invites, as well. looking for an invite, thank you. Count me in for Google Inbox. Would love to get an invite! Would really appreciate an invite! kindly send me a Google Inbox invite…thanks. please send me a Google Inbox invite and I’ll invite 3 more once I get mine…thanks. Please can someone send me an invite, thank you it is much appreciated. I would love an invite to Inbox please. Hi! Please invite me as.2mcl[at]gmail.com Thanks! I need and invite as well and I’ll share my 3 invites with the ones from here! michael.tr82@gmail.com Thanks! It’d be great if I could get an invitation. I need an invitation, please. I would like the invite too. Thanks! Can I get an Inbox invite? Hit me up at xfooter21x@gmail.com. If you can, please send me an invite. Looking for an invite, will definitely invite others once im in! Looking for an Inbox Invitation. Would love an invite: dominic.swaine@gmail.com. Thanks. Anyone with spare invites?! Thanks. Hello everyone! looking for an invite if anyone is so kind! I would LOVE LOVE LOVE to get an invitation and share my experience !!! Would love an invite! Will also share all of them once it get my 3 invites! Can someone be so kind to share a spare invite? Promise to share. Looking for an invite, please! Would love an invite, myself. I’ll be sure to pay it forward if someone would grace me with one. Hi! I’d be very grateful if someone could send me an invite! I’ll give three invites to other people. Looking for an invite. Thought this might work. 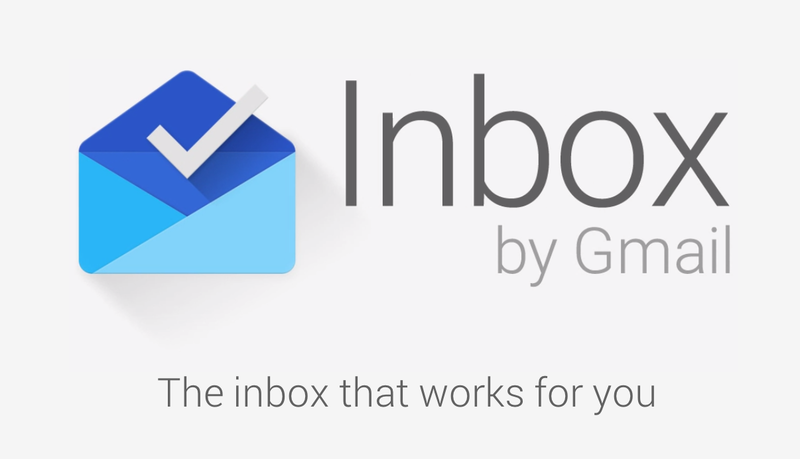 looking for google inbox invite, Please send me one and i will send three other people when i get mine. Can u send me a google inbox invite? Will send other people when I get invited. I’d love if someone sent me an invite too, I will invite 3 other people from the list here too! Anyone with an invite left? defrozz69@gmail.com Will share mine here! Thanks! I’ll return the favor by giving my 3 invites to people on this page. Looking for invite, i hope to get one soon. Could anyone send me an invite? Will thank a lot for an invite. Reinvite intended. I would love an invite and will share the ones I get on here. I would love an invite and will be more than happy to share! Any extra invites available, please? Please send me the invitation.. Looking to get an invite…..
May I pleeeeeeeese have an invite. Please send me an invite please. Hi 🙂 please send me Google Inbox invitation. Then I will share with others. m after an invite! will surely give you mine! atleast 2 from 3. I would like an invite to inbox! alexei.aksenov[at]gmail.com Thanks! I’ve been a gmail user since it was originally only available as a invite service. Can somebody send me invite please !!! Please, invite me to Inbox! Hello. I would like an invite, please! Could I just get an invite please I promise after I will share with others to keep this going aeao06187300@Gmail.com hope to get one soon then Thank You whoever will. Would really appreciate an invite. Will pay forward all my invites to people here. I woud really appreciate an invite. Will pay forward all invites to people here. If I get an invite, I will share all mine with others here. Please hook me up with an invite. I agree if this provides me with an invite to send those i get back to this list. Anybody an invite left for me? Invite please. I will invite the next 3 below my comment. Anybody an invite left ? Would also like an invite, stuck with Blue right now and this looks much better. looking for an invite! Thanks in advance. Would someone be so kind as tof send me an invite? can i please have an invite?? Would love an invite ! Hi there. I would enjoy to receive an invite to Inbox, please. I would enjoy to receive an invite to Inbox, please. Invite-me please. Inbox. I am going to share it. Could someone please spare an invite? Thanks!! Looking for an invite, I promise to invite others as soon as I can. Looking for an invite please. Send to corgaard@gmail.com. thank you! Please can anyone invite me? I’ll reinvite three people. anyone spare an invite? Thank you! Would love an invite if someone has one to share. I certainly promise to share the ones I receive. Hey, I’d love to get an invite to. Would appreciate it if any of you guys could spare an invite. My email is rohodude@gmail.com. Thank you! I guarantee I will share my invites if someone can send one to me. Would someone be kind enough to forward me an invite, I would greatly appreciate it. The email address is panxer3@gmail.com. Please pay it forward thanks! Hi, if somebody could share one of their invite codes with me, I would appreciate very much and also I promise (I know, sounds ridiculous over the internet) that I will share my next three invite codes with people that will have commented on this article. Would appreciate it if any of you guys could spare an invite. My email is nadirj@gmail.com. Thank you! hey! looking for an invite!! I wonder if anyone posting is receiving invites. It’s been quite some time since I did, and nothing so far. Seems like this isn’t the best way to organize an invitation chain. It’s a bit of a farce. Looking for an invite 🙂 PLSSSS!!! Could someone send an invite please? I would appreciate an invite, I will give my two two invites to two people the person who invites me specifies. I would love an invite to inbox and I promise to play it forward. I am looking for an invite if anyone has invites to give. Thank you! If anyone has an invite to give to me, I’ll be sure to pass along the good measure! Pls send me an invitation. Hello, I’m looking for an invite. Could anyone send me an invite? Much appreciated in advance. Could you please send me an invitation for Inbox? Could you please send me an invitation email for Inbox ? I would like an invitation. Would you please send me an invite to taquanghai@gmail.com? Thank you very much. I’d appreciate an invite as well. Thanks. I would like an invite to google inbox!!! Would love an invite ericksonmj@gmail.com, will gladly share mine when i receive one. An invite would be amazing! Can someone send me an invite please? I will share the invites if I get one! Someone pls invite me : pls ! Pls! Pls! Would you please send me an invite to petro.prokopenko@gmail.com? Thank you very much! looking for an invite, sujeetpathak@gmail.com, thanks! Also looking for an invite! Send me an invite please. Can’t wait to try the new Google Inbox. An invite would be appreciated. Can someone invite me, please!!! Please send me an invite(r.mariappan.1988@gmail.com). I will invite the last three if i got invites. Please invite me. Thanks a lot! Samuel.p.corry@gmail.com yes please good people! Please can anyone invite me? May i have invitation, pls? Please share an invite with me so that I can invite and share with others. Did you guys get an invite or was a hoax? Looking for an invite 🙂 plz help!!! Can I also be invited, please? Looking for an invite! Thank you! I’m looking for an invite. Can you please assist me? Looking for an invite please! Can someone please share an Inbox invite. Danke! Please invite me too, thanks! One invitation for zlaajaa@gmail.com please and I will invite 3 people who send comment after me. any invites left out there? I’d love an invite, please! !